I was in a dark, damp and grey space about six feet by nine feet. There were hard, concrete surfaces everywhere, only tempered by a flimsy mattress and pillow. The small toilet in the room dripped constantly. It was nerve-wracking. This experience wasn’t real, mind you. It was a virtual reality project by The Guardian called 6x9 that looked into what solitary confinement is like through a more realistic lens; I was really in a packed room of media people at the Tribeca Film Festival’s Storyscapes Press Preview. But putting on the virtual reality goggles and noise-isolating headphones transported me inside that small prison cell. While there are plenty of articles and documentaries that examine how the 80,000 to 100,000 people in the U.S. in solitary confinement live, 6x9 takes viewers inside an experience they most likely have never encountered. Facts dot the walls about why people are put into solitary with little human contact each day (prison activism, looking the wrong way at a corrections officer, too many pencils) and the physical and physiological consequences of the practice (altered brain activity, permanent psychological damage). The voices of seven former inmates who experienced solitary tell their stories while background sounds recorded from real prisons hum in the background. At one point, the people telling their stories speak about the psychological effects they encountered, and effects within the video let you experience the same. You’re floating, you see cracks in the walls in vivid hallucinations, your vision blurs. I felt a lot of anxiety from being in that artificially enclosed space. The cliche of VR is true in this instance: you really feel like you are there. 6x9 is one of the first virtual reality experiences I’ve had in which its creators used the VR medium to its purpose. News companies are investing a lot of money and time into VR projects, but most of what I’ve seen so far has been more about exploring a space in 360 degrees instead of actually experiencing it. 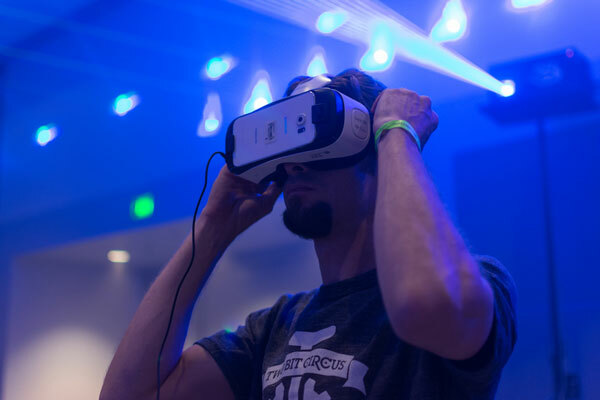 To be fair, the technology is incredibly new, and like all new technology, there will be stumbling blocks as content creators figure out just what virtual reality can be used to do. I am hoping that more news outlets use the tech to not only show us new and fascinating worlds, but to help us learn about them and experience them ourselves. The Guardian’s 6x9 is a testament to how powerful a technology it is, even in its nascent years. You can watch the project yourself by downloading it for iOS, Android, Samsung Gear VR or Google Cardboard. If you don’t have a set of VR goggles yet, you can watch a shortened version of the project on YouTube in 360 degrees below. However, I highly recommend the immersive VR experience.